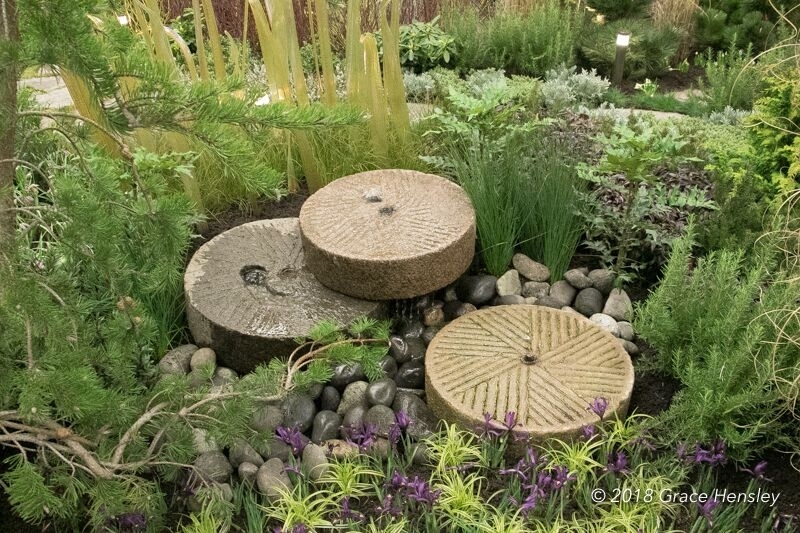 Always an over-the-top inspiration for seasoned gardeners and plantaholics, the Northwest Flower and Garden Show opens today for its 30th year with a twist – a special focus on delivering doable ideas for beginning gardeners, city dwellers, and edible gardeners. 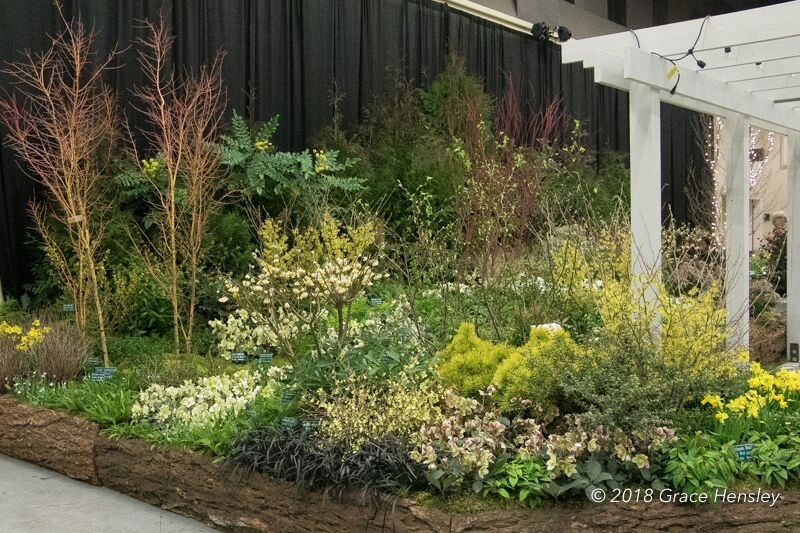 The five-day festival runs Wednesday–Sunday at the Washington State Convention Center, offering 20 plant-packed display gardens, more than 100 free expert seminars, and world-class home and garden shopping. Oh, there will be plants, but also art, and hot tubs…. It wouldn’t be the flower show without some jaw-dropping ingenuity and theater, but there are practical ideas to find everywhere. In the display gardens, containers accent patios and nestle in the flower beds adding year-round focal points and pops of color. Great Plant Picks’ garden is all containers to showcase their latest survey of best plants for potted color. Apple trees were espaliered (grown flat) to save space in a container or along a fence line. 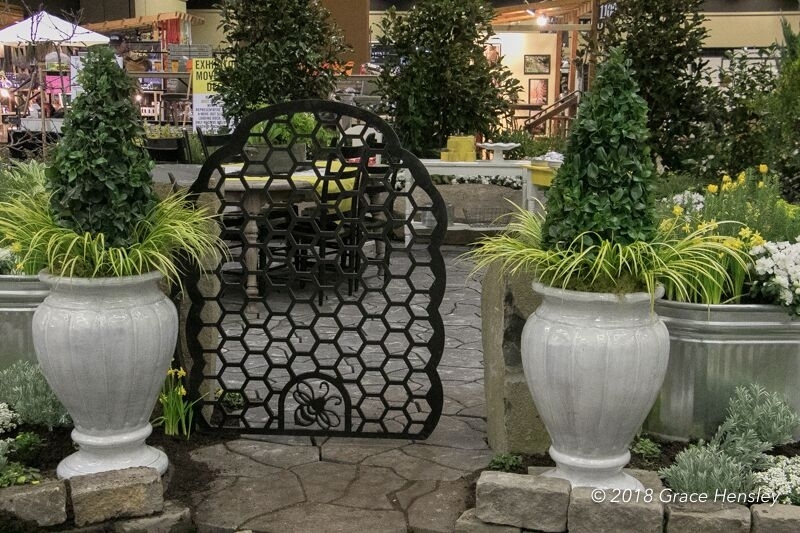 Susan Browne’s sunny yellow, white, and black ‘Bee Simple’ garden (photo above) highlights bee-friendly plants and will host live demos about honeybees’ contribution to our food and environment. West Seattle Nursery created an ethereal day spa at-home getaway– complete with massage table and outdoor shower. The details are the star in this garden – a houseplant chandelier, an interior wall covered with air plants, an exterior one looks like fungus on bark (but is actually made of peat pots), and the lush plantings that look naturally interwoven – almost like they grew there. 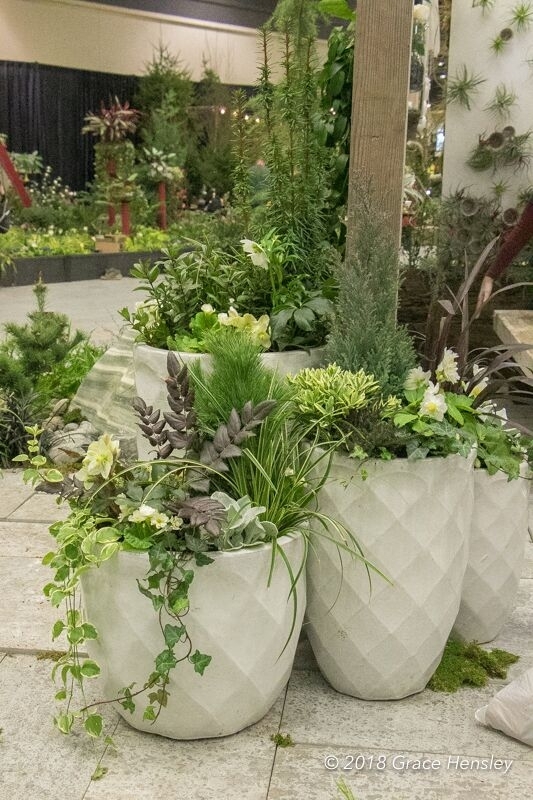 Fancy Fronds Nursery’s garden is a celebration of geometry and nature with expert use of recycled materials in its zig-zag planted retaining walls and steel columns topped with mixing bowls. New this year, adding the real-time ‘Flower Wars’ to the popular ‘Container Wars’ event testifies to the success of the ‘slow flower’ movement and floral farms. Designers will use American-grown flowers to whip up arrangements on the fly. 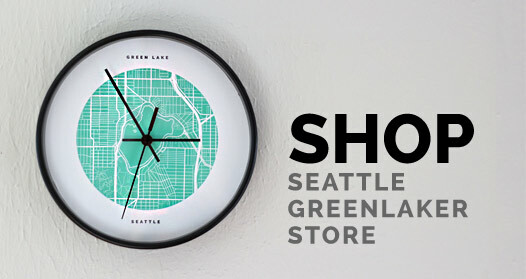 So, whether you are looking for inspiration, education, or some gorgeous plants, get there. To go: Tickets are $24 per day, or $34 for a 3-day pass. Youth tickets are $7. Children under 12 are free. Available online https://www.gardenshow.com/tickets/order/, (800) 343-6973, or at the door. 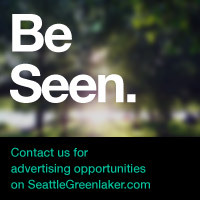 Thanks to Bainbridge-based photographer Grace Hensley for her fantastic photography.